Mouthwatering Mexican Street Corn slathered with spicy mayo, sprinkled with cotija cheese and cilantro and drizzle with lime juice. August is peak season for sweet corn in Minnesota and the local corn on the cob stands are everywhere! 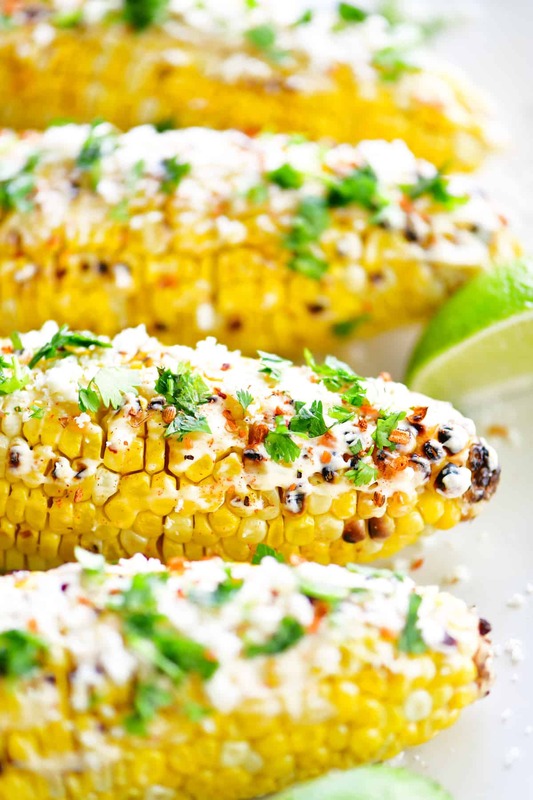 Once you’ve had your fill of the traditional buttered corn on the cob, switch things up by making Mexican Street Corn! 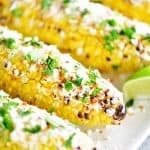 Where is the Mexican Street Corn Recipe? In this post, I will share lots of great tips from how to choose corn on the cob to step-by-step instructions for making Mexican Street Corn, as well as answering FAQs about the recipe. But you can go directly to the recipe by scrolling down to the bottom of the post. 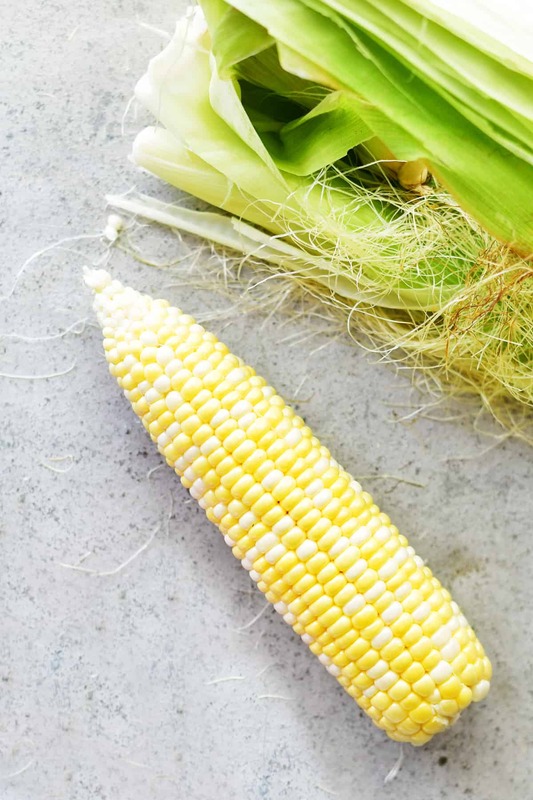 1) The number one way to find the best sweet corn is to buy the freshest corn on the cob you can find. As soon as the corn is picked the sugars start slowing turning to starch so the fresher the better. Visit a farm stand or farmer’s markets. 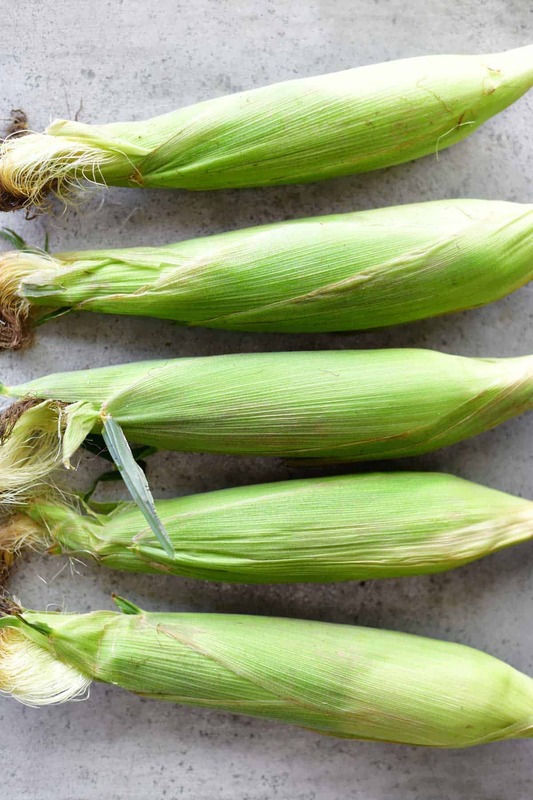 2) The corn on the cob husks should look fresh and green. They should be tightly wrapped around the corn. Avoid the wilting, shriveling, dry looking ones. 3) Look for the ears of corn with sticky brown silks and skip the ones with black dry silks. 4) Pull back the husks at the top of the ear to take a peek at the corn inside to make sure it looks good. But be conscientious of not peeling it too far back and replace the husks after checking. Peel the corn on the cob and remove the silks. 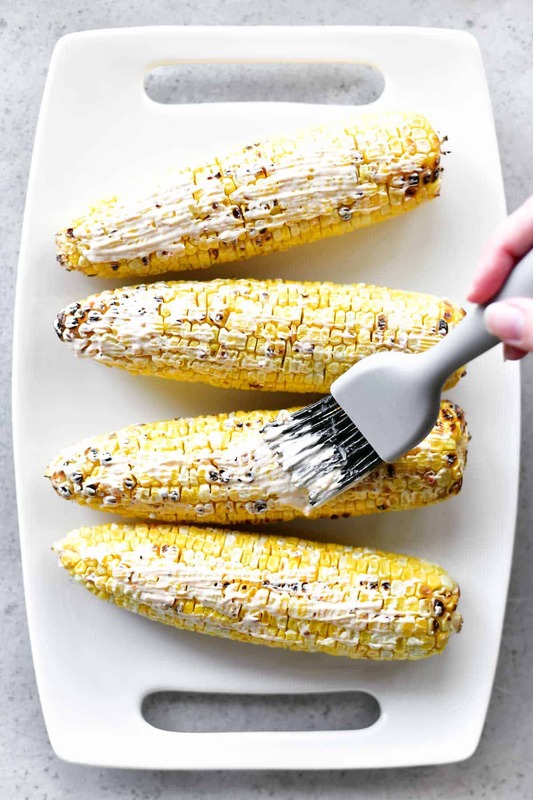 Cook the peeled corn on the cob directly on the grill, over medium heat for about 14 minutes, turning every couple of minutes. See Grilled Corn On The Cob Peeled for more detailed instructions. Or to grill with the husks on see How To Grill Corn On The Cob With The Husks. Mix together mayonnaise, sour cream, and chipotle seasoning. Slather the grilled corn on the cob with the spicy mayo mixture. 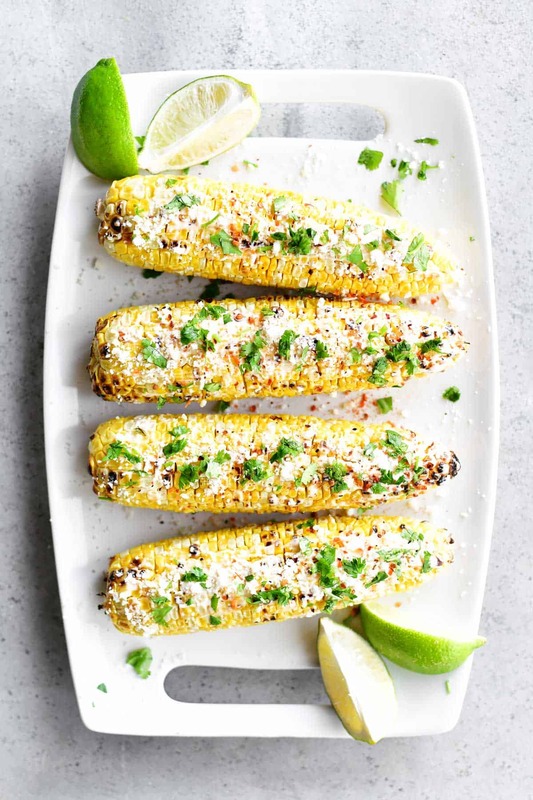 Sprinkle the Mexican Street Corn with cotija cheese and chopped cilantro. Squeeze lime juice over the top. 1. What is cotija cheese? Can I use another cheese instead? Cotija cheese is a hard, crumbly Mexican cheese with a salty flavor. It is somewhat like Parmesan cheese so grated Parmesan cheese can be used instead of cotija cheese on Mexican Street Corn. 2. Is there a substitute for the chipotle seasoning? Try chili powder and/or cayenne pepper to taste. Or stir in some hot sauce. 3. 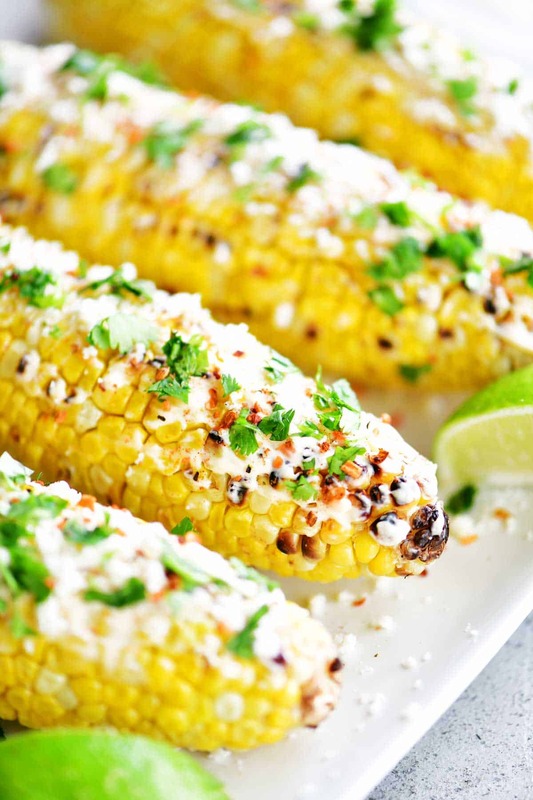 How can I make this Mexican Street Corn without a grill? Grilling the corn on the cob gives it a nice smoky flavor that goes perfectly with the other flavors. To get that without a grill you can broil the corn briefly or use metal tongs to hold it over the stovetop flames of a gas oven. 4. Would it still be good without charring the corn? Yes! Visit my post for lots of ideas on How To Cook Corn On The Cob. 5. Can this be turned into a Mexican Street Corn Salad? Definitely and it is less messy to eat that way! Cut the cooked corn off of the cob and stir the spicy mayo, cotija cheese, and cilantro to taste. 6. Is Mexican Street Corn gluten-free? Yes, it should be as long as the spices you add are gluten-free. Corn Salad from The Gunny Sack: This Corn Salad recipe is a creamy combination of fresh sweet corn, colorful peppers, and ripe tomatoes! It is the perfect summer salad for potlucks, picnics, and barbecues. Fresh corn salad only takes a few minutes to mix up and can also be served as a party appetizer as a dip with chips. Sweet Freezer Corn From Little Dairy On The Prairie: Stick a few batches of Sweet Freezer Corn in the freezer to enjoy all winter long! Add it to soups, casseroles, or eat as a side dish! Microwave Corn On The Cob from The Gunny Sack: Microwave Corn On The Cob is the easiest, fastest way to make small batch corn on the cob. No prep time, no peeling, and no heating up the kitchen. Slow Cooker Cheddar Corn from Plain Chicken: Just dump everything in the slow cooker and let it work its magic! Frozen corn, cream cheese, cheddar cheese, butter, heavy cream, salt, and pepper. Cowboy Caviar by The Gunny Sack: This easy appetizer recipe for Cowboy Caviar, aka Southwest Black Bean salad, is fun to serve in little tortilla chip cups. This healthy dip has lots of protein and fiber! Peel the corn on the cob and remove the silks. 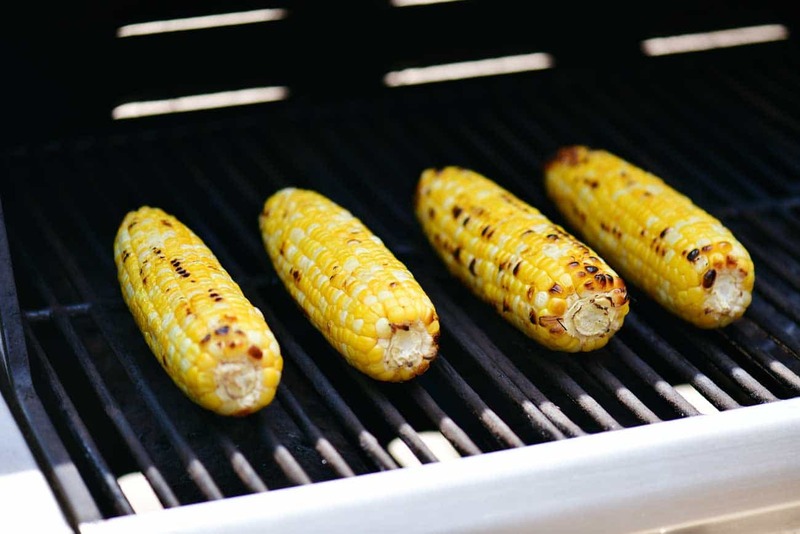 Cook the peeled corn on the cob directly on the grill, over medium heat for about 14 minutes, turning every couple of minutes. 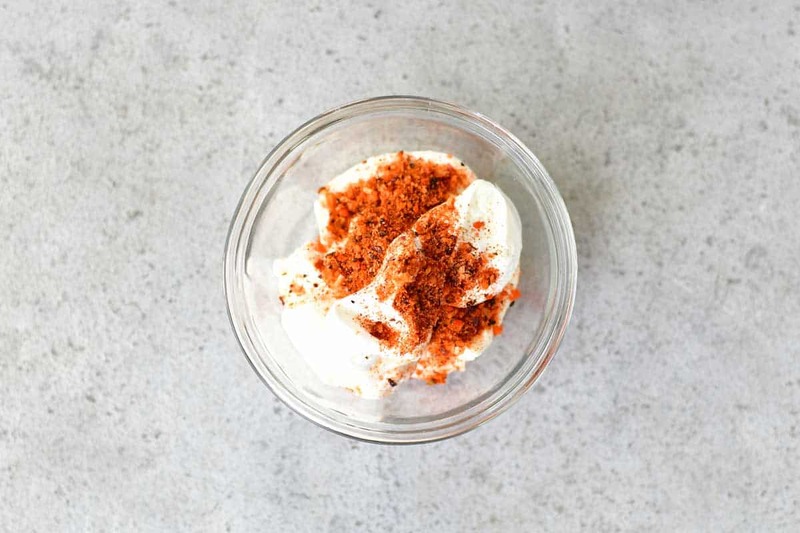 Mix together mayonnaise, sour cream, and chipotle seasoning. Slather the grilled corn on the cob with the spicy mayo mixture. Sprinkle with cotija cheese and chopped cilantro. Squeeze lime juice over the top.